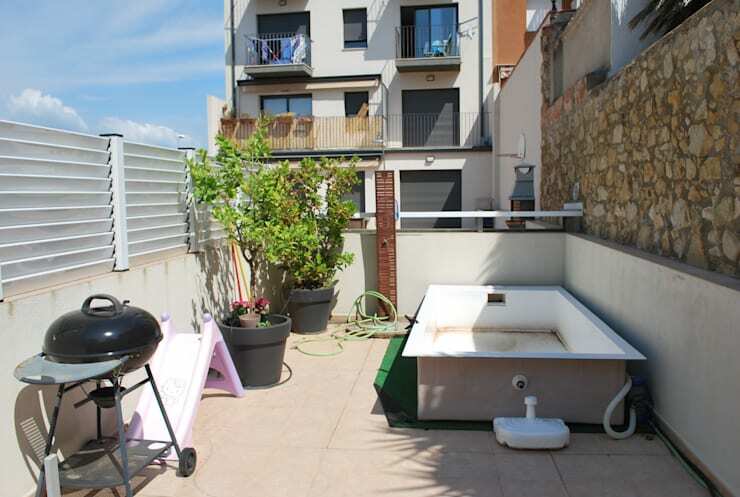 The Spanish coastal town of Sant Antoni de Calonge has attracted our attention today with this exciting terrace makeover project. The large, sunny and airy terrace in question was lying in an underutilised and shabby state, until the interior designers and decorators from Interior Bervic were called upon to give it a tasteful revamp. Now, equipped with a gorgeous above-ground pool, pretty gazebo, stylish dining arrangements and a spot for a barbeque, the white and elegant terrace is a vision to behold. Read on to learn more about this dramatic change! 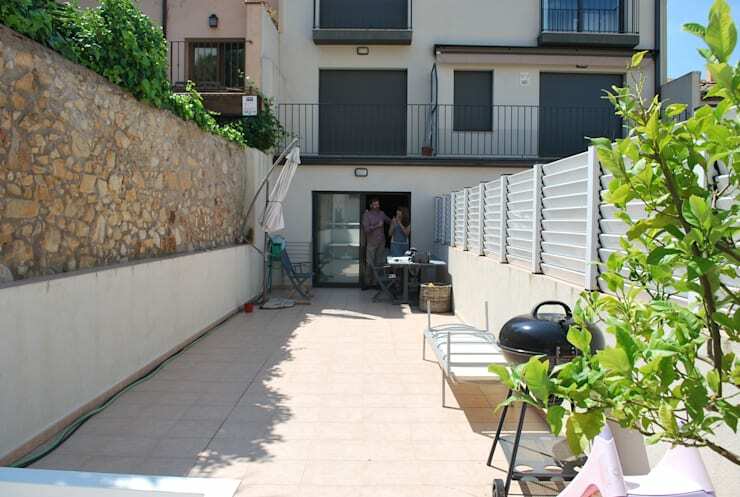 Ordinary floor tiles and partial fencing hindered this corner of the terrace from reaching its full potential. The above-ground pool was lying empty and neglected, while the potted plants though lively, didn’t make for a cohesive appearance. 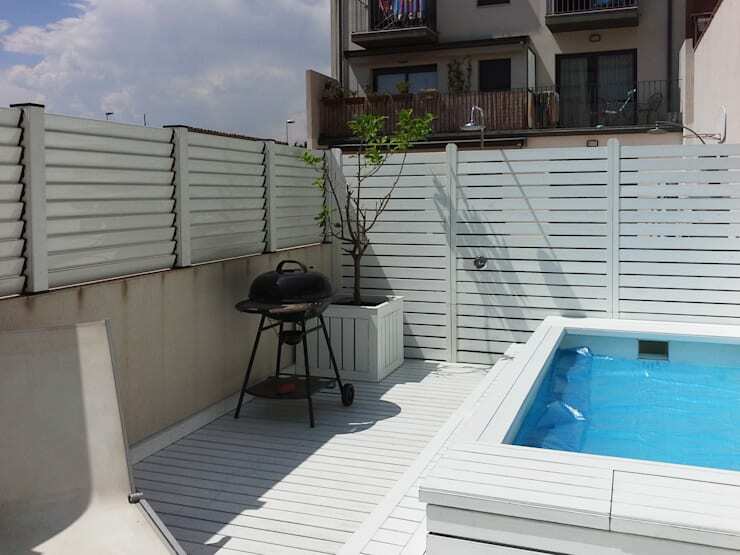 Sleek, slatted wood completes the fencing of the terrace, and lines the floor too. Painted in a pristine hue of white, these wooden slats add a charming and cosy touch to the space, besides ensuring privacy. The above-ground pool has been stylishly encased in white wood too, and is filled with cool and refreshing water—a serene vision on hot days. We also love the natty white wooden planter and the way it spruces up the corner. Before the renovation, a stretch of emptiness met the eye when one glanced at the terrace. There was a lot of space to bring in outdoor furniture and brighten things up. After: eat, drink and be merry! The quaint dining arrangement in white wood has dramatically altered the barren look of the terrace now. A sleek bench on one side provides additional seating as well as room for storage. The stylish pergola with the creamy-hued canopies offers an enticing play of light and shadow here. And the recliners near the pool let you sunbathe in peace. 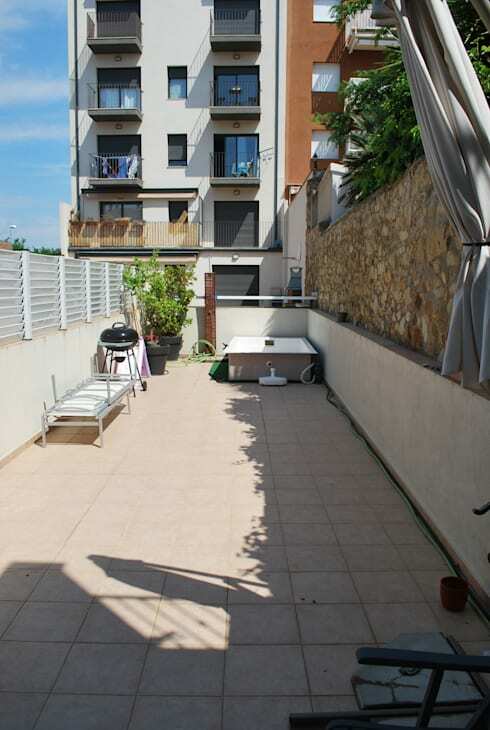 Except for a few random pieces of furniture stashed away in corners, the terrace looked empty and dull previously. It desperately required some care and design ideas. 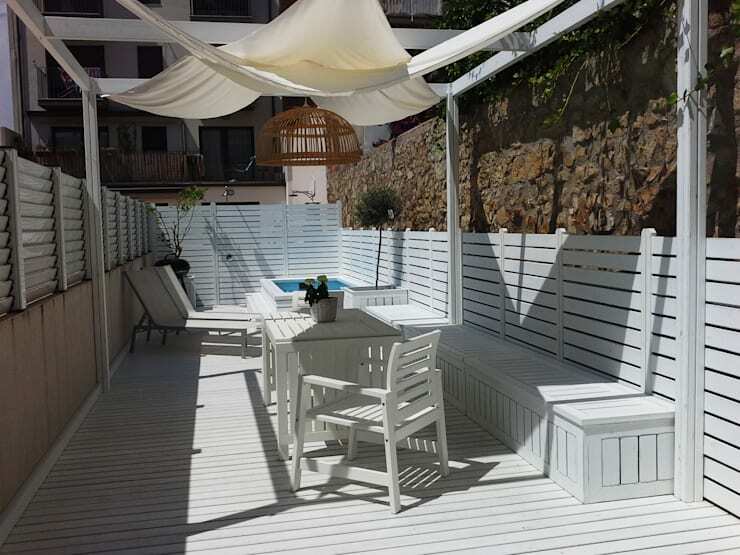 With neat, polished and protected wooden slats all round, the terrace is now an elegant and fun-filled space. Perfect for relaxing with friends over some refreshing drinks, or indulging in a tasty outdoor lunch. Sleek and stylish furnishings have made this once barren space so much more inviting! 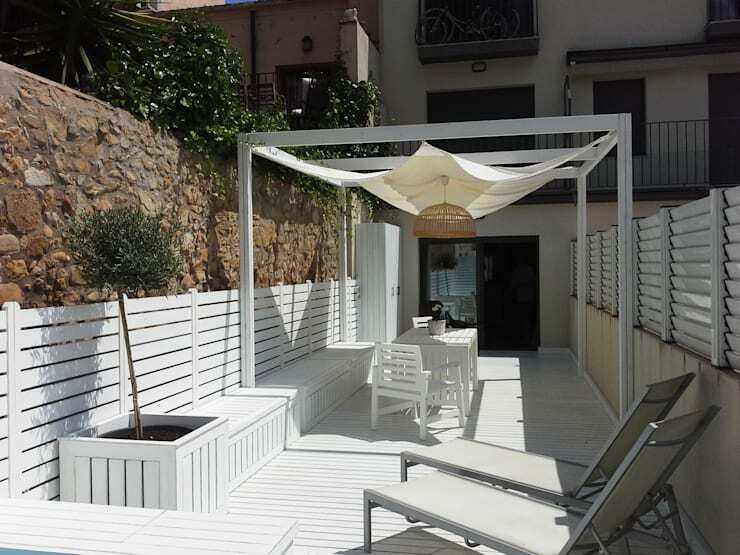 This little terrace is now an oasis of outdoor pleasures with its chic, white appearance and smart furniture. Ready for some more home makeover magic? Check out: From bare to brilliant: a city apartment reborn. Has this bright little terrace makeover inspired you?